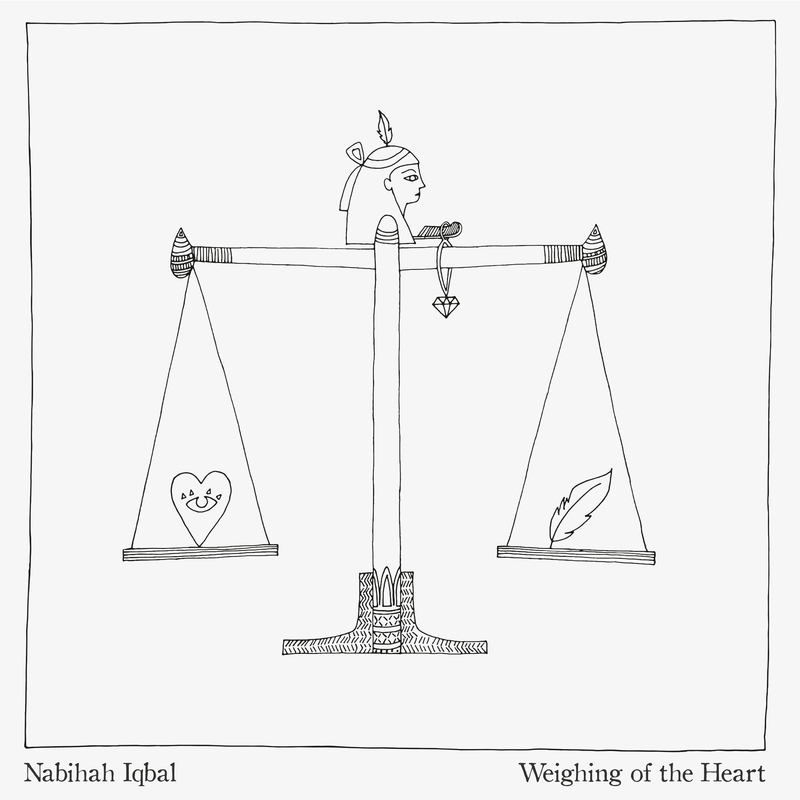 Announcing her debut album, Nabihah Iqbal leaves her old moniker behind and embraces the name she was born with. Formerly known as Throwing Shade, “Weighing of the Heart” is a big statement in two ways: ﬁrst, because she’s taken her real name to stand proudly as a female British Asian artist making music and, secondly, because she’s moved her music in a bolder, more expansive direction. The title alludes to ancient Egyptian beliefs about the judgment of someone who has passed away – upon death, one’s heart would be weighed against a feather to determine whether it was in balance with the universe, and only then could a person proceed into the afterlife. Making her ﬁrst long-player with this concept in mind, she’s honed a sound with a greater focus on live instruments (of which she has played them all). A notable addition to the sound is the guitar, which she’s been increasingly incorporating into her live shows. Often fed through heavy effects, it provides a counterbalance to the soft-focus, hazy aura of the record. Charting the waters where dance music and pop meet, she melds moody, propulsive basslines with shimmering synth atmospheres. Recorded in her studio space (hired with support from the PRS Foundation), it’s the product of selfdirected, freely-evolving recording sessions; with a more conﬁdent, inclusive approach to her inﬂuences. ‘Slowly’ is a good example of the dynamic created with one of the newly-introduced live instruments, where the track’s airy, meditative ambience – created with just her voice and the gently-played keys – is cut through with a wandering guitar line. In ‘Saw You Twice’, a cyclical, steady-revolving guitar riff works in tandem with straight-gridded, angular drums. Nodding to the likes of Can and Bauhaus, the track maintains a taut, carefully poised tension throughout. In both cases, it shows her foundations in electronic music being built upwards in divergent directions. One of the themes which fed into the writing was a sense of existential doubt, pondering the daily struggles and pleasures which mark day-to-day life. In ‘Zone 1 to 6000’, for instance, she sings: “We wander through each other’s lives, just like the river’s constant ﬂow. And signs of life in all our eyes, keep this city on the go”. Powered by motorik-style drums, her approach to the song’s structure and lyrics was partly informed by reading poetry, inﬂuenced by the intricately-crafted balance of rhythm, rhyme and meaning which poems often ﬁt together. In ‘Something More’, too, her subdued vocals explore the feeling of being eternally unsatisﬁed with what you’ve got. In ‘Eternal Passion’, there’s the most clear-cut example of the album’s two intertwining styles. 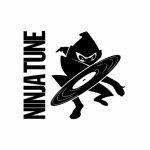 It co-mingles touchstones of old-school house – like robotic, 808-style handclaps – with melodies played on a sombre, live-recorded bassline. With echoes of the legacy emanating from Factory Records (and their most-celebrated, tragically-curtailed torchbearers), it sees club music’s euphoric, high-energy atmosphere re-routed into more reﬂective territories. The album was mixed by Studio 13’s Stephen Sedgwick, who works closely with Damon Albarn and who mixed the most recent Gorillaz album “Humanz”. It was mastered by John Davis at Metropolis. Discussing the change in name, she explains how she’d grown out of her previous alias. “I chose the Throwing Shade name in 2009 when I was just DJing at parties, unaware of a possible music career. It was a name for the scene at the time”, she says. Having had worries when she was growing up about teachers mispronouncing her real name, there’s a conﬁdence which underpins both that decision as well this project as a whole: “The change to my real name feels like moving forward”. 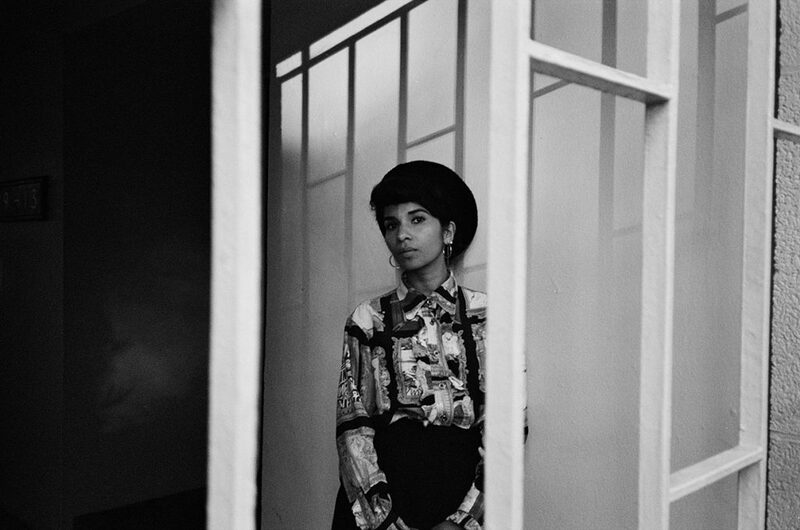 Debuting with a single on Kassem Mosse’s Ominira imprint in 2013, Nabihah has since released on No Pain In Pop and Ninja Tune (with 2015’s ‘House Of Silk’ EP). Having studied an MPhil at Cambridge focused on African history, she’s also worked in human rights law in South Africa. Since 2013 she’s hosted a bi-weekly show on NTS, exploring the musical traditions of different countries. Regularly touring the world to DJ and play live, she’s also received several commissions from other corners of the arts: the Tate Britain asked her to compose a piece of music for the Turner Prize, she recently took part in a group performance as part of the Barbican’s Basquiat retrospective and collaborated with Wolfgang Tillmans at his major Tate Modern exhibition. Nabihah has received plaudits from publications including Pitchfork, The Guardian, The Fader and Complex, while she’s had previous radio support from Huw Stephens, Monki, and Toddla T on Radio 1, Jamz Supernova on Radio 1Xtra, Gilles Peterson on Radio 6Music and Zane Lowe on Beats 1. At a time when dance music is embracing cross-pollination and eclecticism more than ever before, it’s a prime moment for Nabihah’s increasingly all-embracing approach. Re-connecting the worlds of introspective, innovative guitar bands with the rhythms and club-born structures of dance music, there’s a wealth of different tangents she’s managed to unpack. Informed by a well-traveled (and well-researched) perspective on music, she ﬁnds whole, uncovered pathways left to explore.